A HISTORIC hospital in Aberdeen could be turned in to a 52-bedroom boutique hotel, if new proposals get the go-ahead. 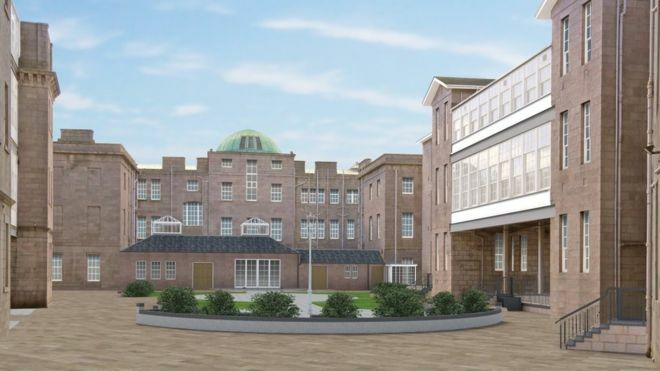 The new vision for the former Woolmanhill Hospital has been developed by CAF Properties with NHS Grampian and will be submitted to Aberdeen City Council. Redevelopment of the hospital, built in 1759, would also see dozens of new serviced apartments and also residential properties alongside the hotel. The hotel and serviced apartments would be operated by Glasgow-based G1 Group. If planning consent is given, the scheme could be completed by 2019. Elsewhere on boutiquehotels.co.uk, find boutique hotels in Aberdeen.